3258b, CENTER CAP USED, 98-99, FORD, RANGER, SPARKLE SILVER, PLASTIC CAP, 5 INDENT MATCH SPOKES, ETCHED FORD LOGO, ROUGH BACKGROUND, 6-5/16" DIA. 5309a-1, CENTER CAP USED, 07-09, CADILLAC, ESCALADE, ESV, EXT. 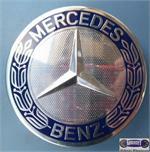 CHROME, EMBLEM ON RUFF BACKGROUND, 7 INDENTS OUTER EDGE, 7" DIA. 69484, CENTER CAP USED, 10-15, TOYOTA, CHROME PLASTIC CAP, CHROME OUTER RING, ROUGH MACHINED BACKGROUND, OVAL RAISED CHROME LOGO, 2-1/2" DIA. 69506, CENTER CAP USED, 06-10, TOYOTA, RAV4, PAINTED SPARKLE SILVER WITH RUFF BACK GROUND & RAISED LOGO IN SILVER. 5 CUT OUT FOR SPOKES. 5 PLASTIC CLIPS. 3-3/4" DIA. AND MAY FIT MORE. 69507/69509, CENTER CAP USED, 06-11, TOYOTA, RAV4, SPARKLE SILVER PLASTIC CAP, RAISED CHROME LOGO, ROUGH BACKGROUND, 4-1/4" DIA. 70142, CENTER CAP USED, 75-84, VOLVO, 240 SERIES, 260 SERIES, CHROME METAL CAP, ROUGH BACKGROUND, RAISED V LOGO, METAL SNAP RING DESIGN, 6-5/8" DIA. 70142, CENTER CAP USED, 75-84, VOLVO, 240 SERIES, 260 SERIES, CHROME METAL CAP, ROUGH BACKGROUND, RAISED V LOGO, METAL SNAP RING DESIGN, 6-5/8" DIA. FOR A 14", RIM.